Recoverit Data Recovery supports to recover JPEG/JPG/PNG files. 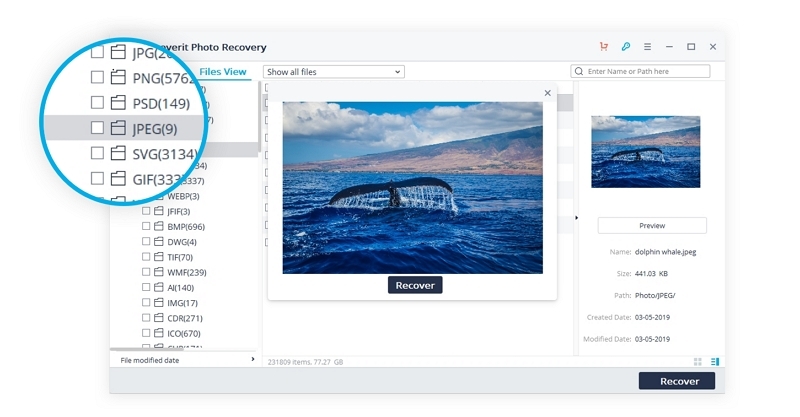 Read through the article and get the full solution about how to recover lost or deleted image files. Is there a way to recover deleted photos? Hello, I found all my JPG pictures, JPEG photos and PNG images lost. Can anyone give me some methods or photo recovery software to recover JPG/JPEG/PNG files from my Windows computer? Many thanks! With digital cameras and smartphones, we have a huge collection of images almost everywhere. However, regardless of how careful you are with your images, chances of deleting or accidentally losing a few PNG/JPEG/JPG photos are always there. How many times have you ended up deleting an image that you thought you did not need- only to realize that you were wrong later? Or did you ever interrupt a data transfer and lose your photos in the process? The scenarios where you could lose those precious photos are endless - the point here being that you need a JPG/JPEG/PNG Recovery Software. To learn more about image file recovery and the best JPG recovery software in the market, read ahead. When it comes to the best JPG/JPEG/PNG Recovery software, then the first name that comes to most users' minds is Recoverit photo recovery software. This photo recovery software helps you recover your image files without any hassle. It does not matter how little you know about JPG recovery, JPEG recovery or PNG recovery. Recoverit Photo Recovery knows all that and requires no professional knowledge of anyone to restore lost images. Recoverit JPEG Recovery supports to restore image in different formats. The free trial is also provided. You're able to free download and try the free JPEG recovery software to preview the recoverable PNG, JPEG and JPG files as well as recover some of them. With all these great features, it is obvious that Receoverit JPEG Recovery is an ideal JPG/JPEG/PNG Recovery tool. Let us go ahead and see how you can start making use of this JPG recovery software. You can download the digital image recovery tool and follow the below video tutorial to see how to recover jpeg/jpg/png files within minutes. The best part about using this JPG/JPEG/PNG Recovery Software is that it is very simple yet highly efficient in recovering your image files. We will be demonstrating the Wizard Recovery Mode to help you perform image file recovery. This mode does it all for you and all you have to do is to do a few clicks for recovering lost or deleted photos. Here is about how to recover JPG in Windows. Mac users please download the Mac version and turn to this guide: Mac Photo Recovery. Select the location/drive where the JPG recovery software will search for your deleted files. And then you need to click "Start" button to process. Connect the external media and select "External Removable Drives" if you want to search a particular SD Card, USB stick or camera, or browse to any particular memory location. 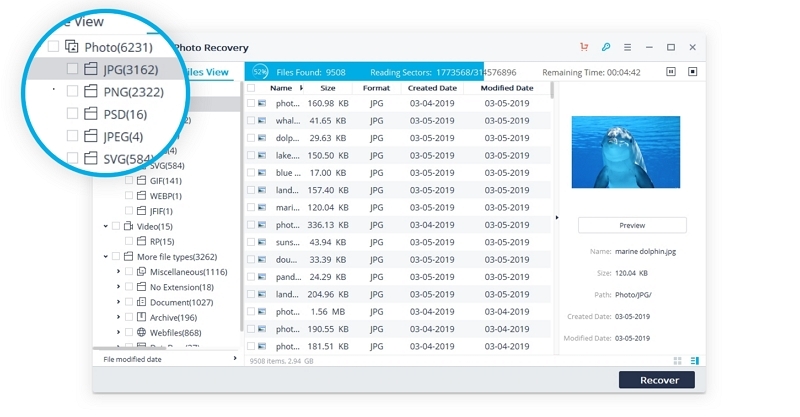 This JPG recovery software will start scanning to find your lost photos. The scan will be made on the selected hard drive for lost or deleted image files. Once the scan completes, you will be shown a list of all the files that can be recovered in this image file recovery process. Preview and find the JPEG/JPG/PNG files that you need to confirm the feasibility or JPG recovery. Click "Recover" to retrieve and save the files to another safe hard drive or external device. Thus, with just these simple steps, you will get back your images using the most effective of photo recovery software in the market! This section is aimed to provide some additional information about JPEG/JPG/PNG pictures to help you understand the feasibility of photo recovery and manage or store the image files properly. JPEG or JPG is one of the most welcomed and frequently used as an image file. But what is JPEG or JPG? JPEG, short for Joint Photographic Experts Group, is the first standard of international image compression. Due to its good compatibility and image quality, it is commonly used for making, storing and transferring digital images and videos. Image files that use JPEG compression are usually reffered to as "JPEG photos" or "JPG pictures", since the file extention of JPEG files can be ".jpg" and ".jpeg". Along with the widespread use of JPEG photos or JPG pictures, many of us can oftentimes suffer from losing them from computer, digital cameras, cell phones or other storage, which can be caused by many factors like accidental deletion, virus attack, the interruption during file transfers, etc. To recover the deleted or lost image files, you can turn to photo recovery software like Recoverit Data Recovery. It can rescue your data easily, securely and completely. PNG file is another widely popular image file format in the digital world. But what is the PNG meaning? PNG stands for Portable Network Graphics. PNG files are raster graphics files to store the images. Initially, PNG is desgined to replace GIF (Graphics Interchange Format) files for better data compression. Now, it has become widespread and due to its lossless quality, ubiquitous compatibility and the transparence, almost all photo viewers and web browsers support the image file format. Check out this page - Guide to All Photos Recovery, for JPEG or JPG recovery. It is not that hard to get back your files using this excellent picture recovery software. However, a few tips will help you to avoid some common issues and have better results. The earlier you try to recover your image files, the higher is the probability of finding them. Avoid using your smartphone/camera/memory device in which the photos were before they were deleted/lost. When you recover any file, do not store it in the same location where it was earlier. This will make the other data in that memory area unrecoverable. 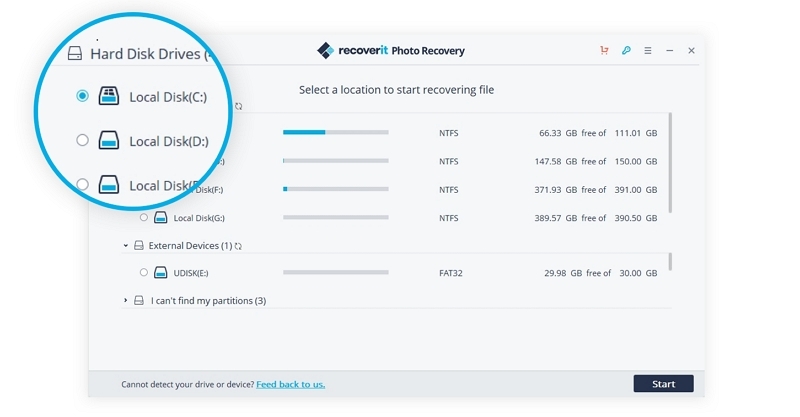 In case the files you are trying to recover are in an external device/drive, do not remove it while Recoverit photo recovery is scanning, otherwise it may become damaged or inaccessible. Thus, with these simple things in mind, data recovery can be made even more efficiently. No matter what your data recovery need may be, a single software is equipped to handle it without any hassle. 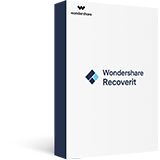 Right from any file type to any data loss reason and operating system - Recoverit Data Recovery is compatible across them all!